Quebec has been phenomenal this year, in 2013 there’s been a Barnacle Goose, Garganey, Lapwing, Sharp-tailed Sandpiper and now a Ross’s Gull. 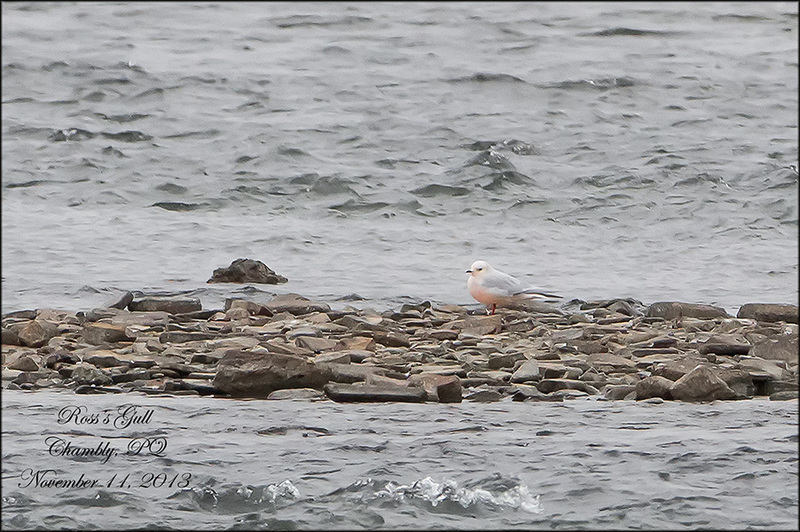 The Ross’s Gull on every birders wish list, a bird of the far north and Siberia. The only known nesting site is believed to be near Churchill, Manitoba. It is believed to winter at sea. Seeing one is very rare. After hearing about the Gull on Saturday while I was a work and suffering through a 12 hour shift on Sunday. I just couldn’t wait any longer, I really wanted to see this bird. After talking with Langis Sirois last night, I thought my chances of seeing this bird in the morning would be slim. Rick Poulin and I left from Ottawa at 5am and arrived at the Fort in Chambly by 7:10am. We both hoped the bird might be around but seeing no one in the parking lot we thought our chances were slim. The high winds forced us to find shelter behind the fort and glass from there, bare eyed I could see small gulls but what a thrill it was when Rick said “I see Pink”. Rick and I have gotten each bird this year, a great team. Thanks my friend. 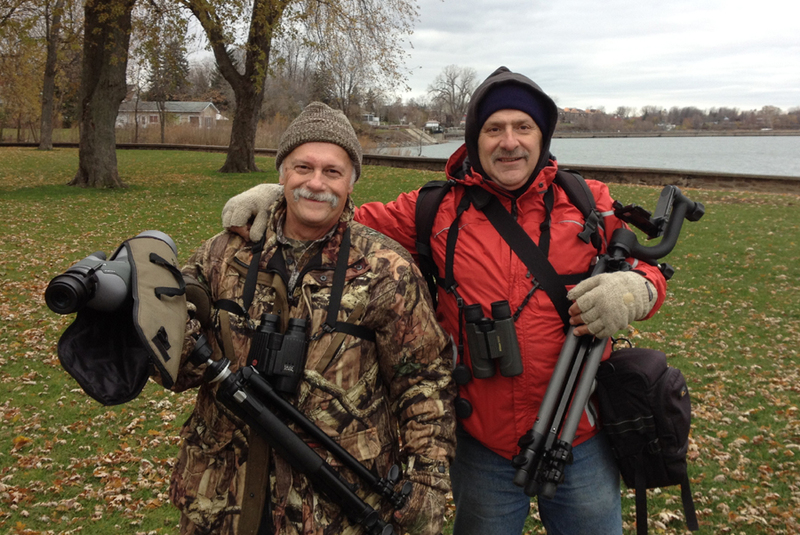 We’re two happy, cold birder as shown below. I took a few photos at a fairly long distance, then at 8:15am the bird lifted off and disappeared out on the lake. Superbe photo. Best one yet. Geez that short guy is looking old but happy!